Colours on your website stand out. You can tell you are on the Coca-Cola website, for instance, because everything is in bright red. Equally, you know you are on Facebook because everything is blue. And you know you are on the American Express site because of the pale blue colour that is everywhere. Even if you had no idea which website you were on, the colour would give you a clue. Colours are instantly recognisable. Or are they? Website colours are also surrounded by words. And when we see words they produce an impact known as “semantic interference”. For instance, if you see the word GREEN like this, it takes you longer to work out you are looking at the colour red. The text has interfered with your colour perception because the word makes you expect GREEN but what you get is both GREEN and RED at the same time. (See what I did there…?) The fact that the word interferes with your perception shows that you see words just as quickly as colours, if not faster. That means that when you land on a web page for a well-known brand you see the words, such as their name, and their colours at the same time. It is not just the colour that is making you recognise the brand. Throughout the web, you will find a plethora of advice about colour psychology. Much of it is hocus-pocus, made-up stuff with little if any evidence. For instance, you will find advice that the colour red makes people feel your brand is fiery, bold and determined. Or you will be told it is a sign to stop and linger over your pages. Wrong. Red is an important colour in biology which is a signal to act now. Rather than saying “stop” it is actually saying “do this now”. Consider the traffic signals at road junctions. We interpret the red sign as “stop”. But what it is really making us do is “act now”. If you didn’t act straight away at a red signal and press on your brakes, there would be a crash. It is urgent that you take notice of the red signal. But what about the green light? Can you linger over that? Of course, if you don’t press on the gas when there is a green signal it doesn’t matter too much; not a lot is going to go wrong. Green doesn’t mean go; it means you can relax. Both red and green are signals from nature. You relax in the green lush countryside, where you feel calm and at ease with the world. But see something red and you sense some kind of danger and you change into a person who needs to do something quickly. Just consider animals that produce reddened skin during their oestrus cycle, which is a signal that they are receptive for reproduction. The male sees the red colouring and realises that it is time to attempt impregnation. Red is a potent sexual signal in nature, signalling it is time to act now, or the moment will pass. So, the information you see on websites purporting to be about colour psychology often comes from popular psychology myths. They don’t just apply to red and green, such myths can also be found for many other colours. Having said that, there is some evidence about the use of colours on websites and their impact on conversion rates. Many firms agonise over their colours on their website. They concern themselves with the supposed impacts of certain colours. One story which shows the unimportance of colours is when Tesco (the UK’s biggest supermarket by a long way) changed its main colour from red to blue. That happened when the company appointed a new Chief Executive. Tesco had always been red. Its logo was red. Its shops were red. Tesco was red. However, the new CEO, Terry Leahey, was an ardent, life-long Everton fan. And if you know anything about Liverpool, it has two teams. One plays in red shirts, Liverpool. But the other – Everton – is blue. The story goes that Terry Leahey ordered a colour change at Tesco because he detested red…! Whether that is true or is an apocryphal story doesn’t matter. Tesco did change its branding and swapped its main colours. All that guff about colour psychology you read might have suggested nonsense such as going to blue would help people consider the brand to be more serious and mainstream than a fiery red colour. Bonkers. Tesco changed colours and remained a top brand. The colours on your website that you choose do not matter too much. Of course, if you are a gardening site people expect greens and browns. If you are a website selling toys for small girls, the chances are their parents expect pink. So we do have some colour associations and expectations. However, these change over time. For instance, up until the late 1950s, the dominant colour for females was blue, not pink. The psychology of colour is about expectation. After all, Santa Claus used to wear a green suit, until Coca-Cola decided to match his clothing to their brand colour in their traditional Christmas advertising. Colours on your website need to match the expectations of your audience. And if they do not expect anything as there is no previous association (or disassociation) to go on, then choose whatever you like. But then use it everywhere – on and offline – in large measure (such as Coca-Cola or American Express) and then when people land on your website they will instantly know it is you. 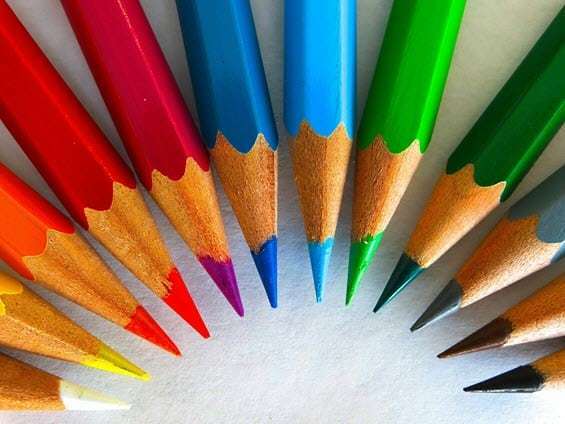 Colour recognition and association with your brand is more important than any so-called psychology you might read about. It’s interesting that so many business owners find their website the most time consuming piece of work, yet they believe the most important to complete. And colour, fonts and format are often batted about backwards and forwards with everyone’s ideas taken account of. When all our customers want is a clear website they can find out more & make contact of buy from! I agree that colour association with the brand is important Graham, and that procrastination about the colours you use isn’t. Set a timer, use a colour palette suggester around a colour which feels right to you, and go with that. Often easier said than done though! Thanks for the comment Tracey-Jane. It’s a good idea to use a timer as you say. I agree that people should just get on with it, rather than deliberating the ins and outs of colours…!